Alexis Sanchez moved to Arsenal from Barcelona in the summer of 2014 and spent three and a half goal-laden seasons at the north London club. In 166 appearances in Arsenal shirt, he scored a stellar 80 goals helping the Gunners twice triumph in FA Cup. 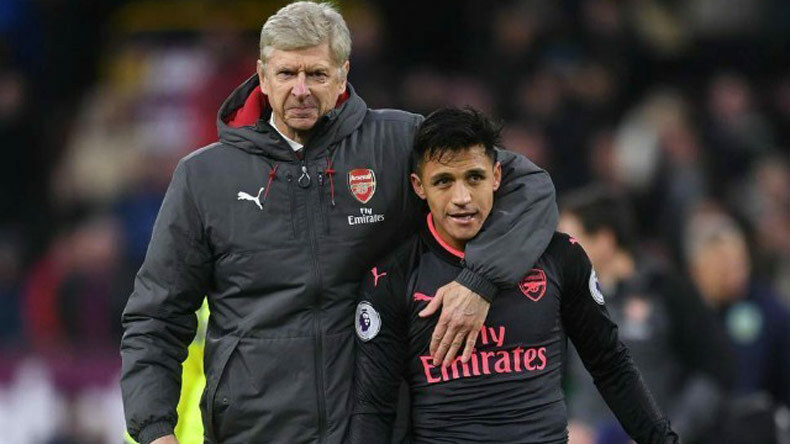 Former Arsenal manager Arsene Wenger has finally given his two cents on Alexis Sanchez’s poor form and explained why the Chilean attacker has failed to replicate his Arsenal form with Manchester United. The iconic French manager asserted that Alexis is struggling with his confidence and he has even lost the physical energy that he is famous for. However, Wenger stressed that the 29-year-old will be refreshed now after been given prolonged rest by coach Jose Mourinho. Ever since making the high-profile move from Arsenal to Manchester United, Alexis has failed to live up to his 450,000 euro per week wages which are the highest in Premier League. In almost one year with the Old Trafford Outfit, the former Barcelona man has struck only 4 goals. “Since the start of the season he had a high level of physical energy but he has lost that as well. Certainly, he is refreshed now because Mourinho left him out for a while,” added Wenger.